• Used in conjunction with our best-selling atom neutralisers! What is the Odourmaster Fan and how does it work? 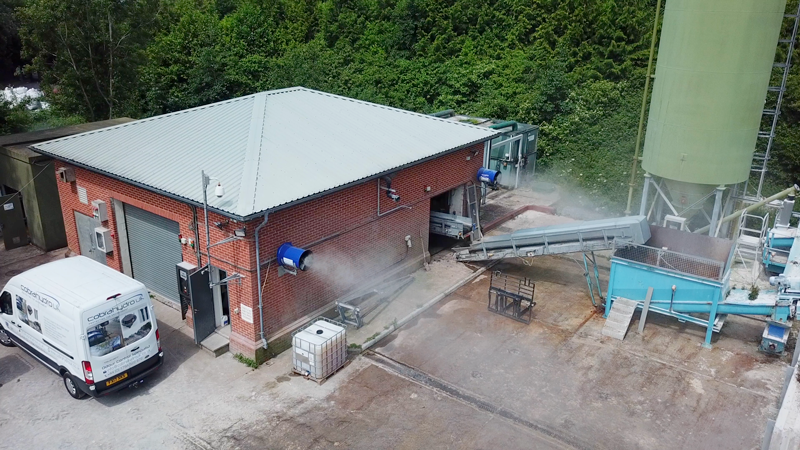 All of our systems are designed to provide excellent coverage for odour control and/or dust suppression in both indoor and oudoor environments. 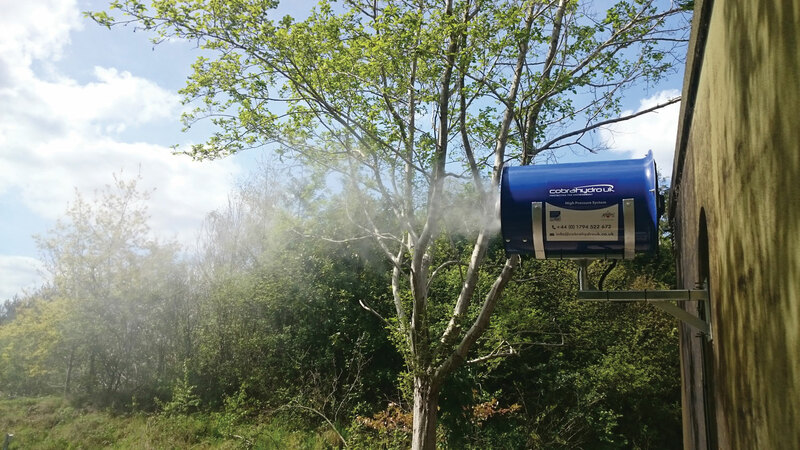 The Odourmaster Fan has parts made up from assisted rotary atomiser mounted on a robust steel mast. 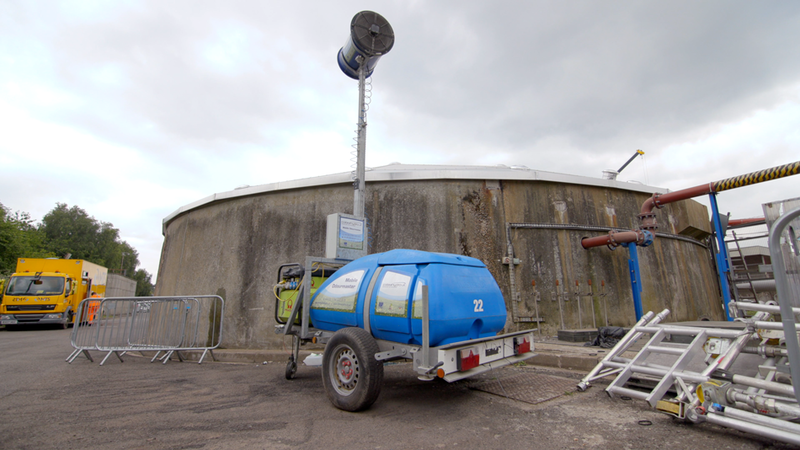 The unit operates by pumping a mixture of water to the rotary atomiser which distributes the solution within a tight droplet spectrum. 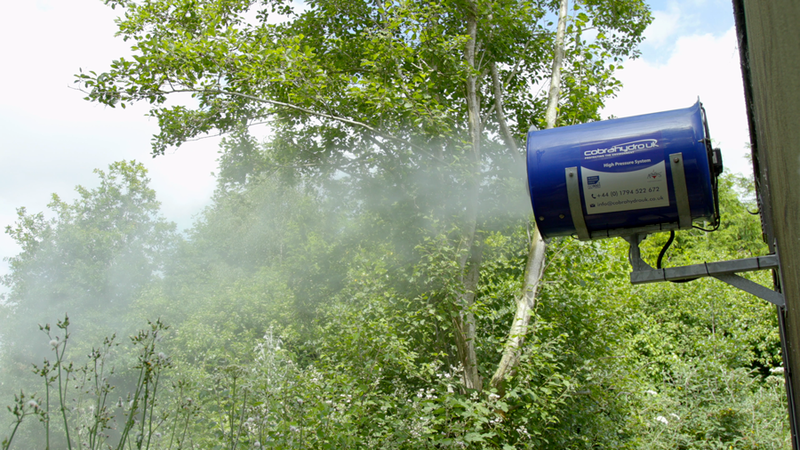 This extremely fine mist is then propelled further by the fan behind the atomiser. It’s a highly powerful system, available in wall-mounted, ceiling mounted and mobile unit form. The oscillating unit will turn through 100 degrees, and the flow can be adjusted between 0 and 180 litres per hour. The spray will cover 30-45 metres. 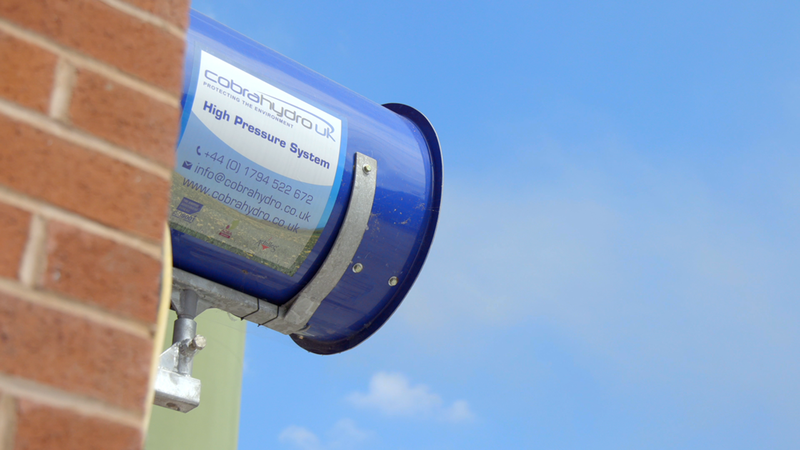 CobraHydroUK Ltd. Registered in England No. 5471006 VAT Registration No. 862 2104 353.